The Electronic Entertainment Expo or popularly called “E3” is a place where gamers converge to get the newest as well as the latest updates on their favorite video games. It is also one of the best outlets for video game companies to show off their new collections and developments on soon-to-be-released games. It’s like the place where reality meets the virtual world. E3 is a haven both for gamers and developers. This year, everyone is excited for Polyphony Digital’s newest Gran Turismo Sport. 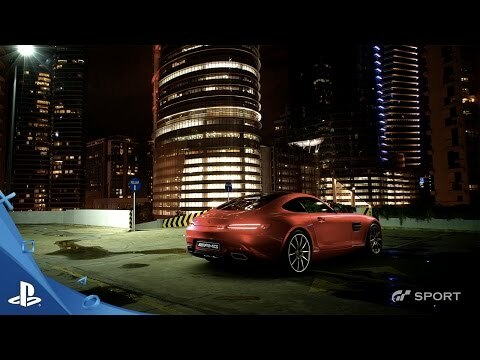 The Gran Turismo Sport was first introduced during the 2015 Paris Games week and was one of the highlights during this year’s E3. It is set to be released in the U.S. by November 15 and in Europe by the 16th; it will be the thirteenth game from Polyphony Digital’s Gran Turismo. A total of 140 cars are featured in the game, some of which are real life cars while some are concepts from some of the world’s best automakers. We’ll be seeing Lamborghini Huracans and Mercedes-AMG GTs in action as well as Nissan’s newest concept car, the Concept 2020 Vision Gran Turismo. The game is equipped with miles and miles of dirt tracks for the adventurous ones while a paved track is also featured for those who prefer to practice smooth driving and drifting skills. What makes the Gran Turismo Sport stay in the limelight is its improved visual effects where “visual reality trumps real life”. That’s right. This new series from Polyphony Digital has been developed to produce more realistic physical environments/settings and a different experience for speed junkies. These were highlighted in the latest trailer which has heightened the anticipation for this new Playstation 4 game. Who doesn’t want impressive visuals and tech features, right? The Gran Turismo Sport also has a special feature called “Scapes”. It is the new generation Photo Mode where players are given the chance to channel their inner photographer. Scapes highlights travel with 1,000 locations to choose from. The photos have actually been taken all over the world and players are given the freedom to choose the background for their vehicles. The level of “realism” is high as the cars are plopped into their chosen backgrounds and would look so real that some might think it was really shot in Japan or in the Grand Canyons without the hassle of booking a flight and buying the actual car. Photorealism is incorporated into Scapes, with each photo composed of various series of pixels as well as lighting and reflection. Players can explore aperture, focal length, exposure and all other features in our usual digital cameras that we never bothered using before. It’s actually good practice for aspiring photographers. The renders can be shared online via the Gran Turismo companion app or may be exported to Facebook, Twitter and Instagram. Aside from these add-ons, Gran Turismo Sport is still as great as the versions before it. The improved visual and technical effects adds to the greatness of the actual racing itself. There are also in-game commentators to make it feel like a real life racing experience.